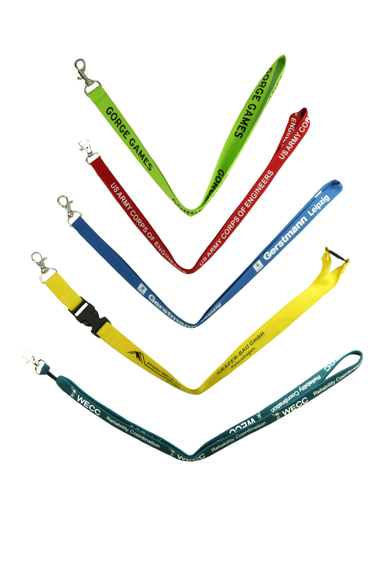 Lanyards make exceptional promotional items by functionally displaying your name, logo or message. Used for employee ID cards, special events, schools and trade shows. Fabric options are polyester or nylon and your logo can either be printed or embroidered onto the lanyards. Please click on the Lanyard Attachments button below to view your options. Contact us and we can help you find the best fit for your needs.